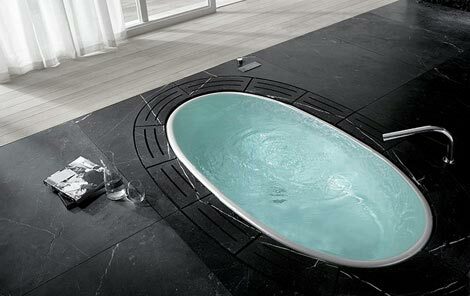 Details Per Space - Bathroom — Horoma. 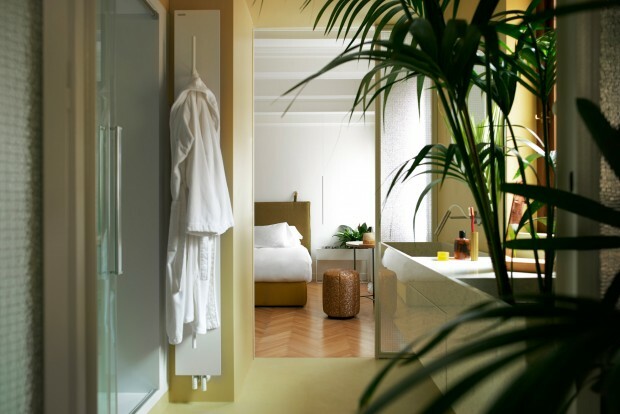 Even though the bathroom is not the space you'll spend the most of your time in, it is nonetheless a common demand in archviz rendering because this is a place that speaks to everyone and where you can boast nice design and subtly suggest a lifestyle. On the other hand, it can also sometimes be completely overlooked by designer, and become a drawback in the overall design. That's where you might want to convince your client to opt for another space to depict, or simply rework it more properly. Still, let's see how we can make the most out of a bathroom space rendering, from the luxury ones, to the small cheaply designed ones. A bathroom is a place where actually many small and short-timed activities take place. We have the basics which cover all the usual bathroom props relating to washing and getting ready : shampoo, hard soap (for SSS effect) or liquid soap (for interesting caustic details), toothbrush, electric or manual razor, hairdryer, makeup, specific mirrors and so on. 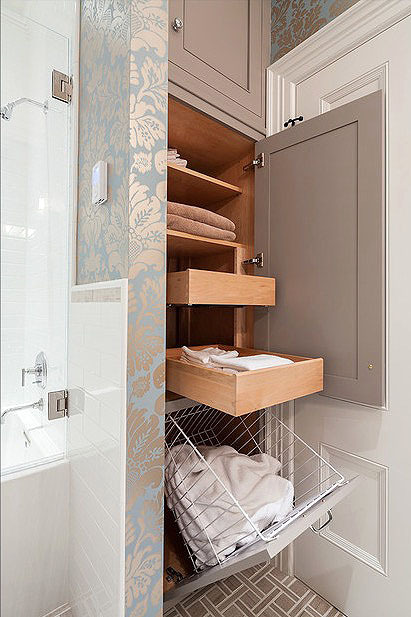 Depending on the kind of bathroom layout you have, this is the kind of items you will either carefully select and place on a shelf, or hide in a drawer. While a shower is a quite short action, a bath entails a longer pause and it can be interesting to throw some open book in your image, or a music player to accompany it. 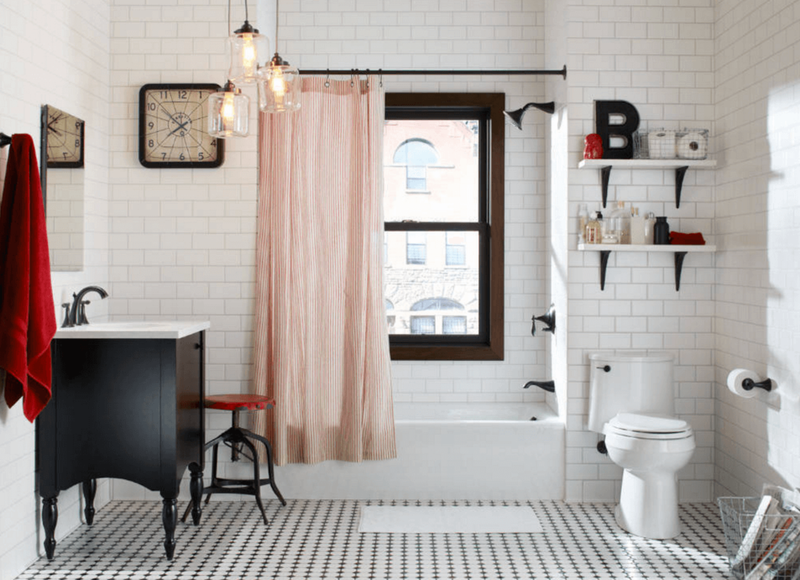 The idea being to show that you can actually enjoy some relaxing time in your bathroom and therefore go beyond the strictly utilitarian aspect of it. Fresh folded towels or a bathrobe carelessly thrown on the ground before going under the shower are as many small items you can rely on to create simple stories in your image. As for any cloth (or item in an image actually), texture, colours and patterns are important and should be treated as such. Even though we rely a lot on simple white towel, it would be a missed opportunity to go for such simple design if you were designing a kid bathroom for example. 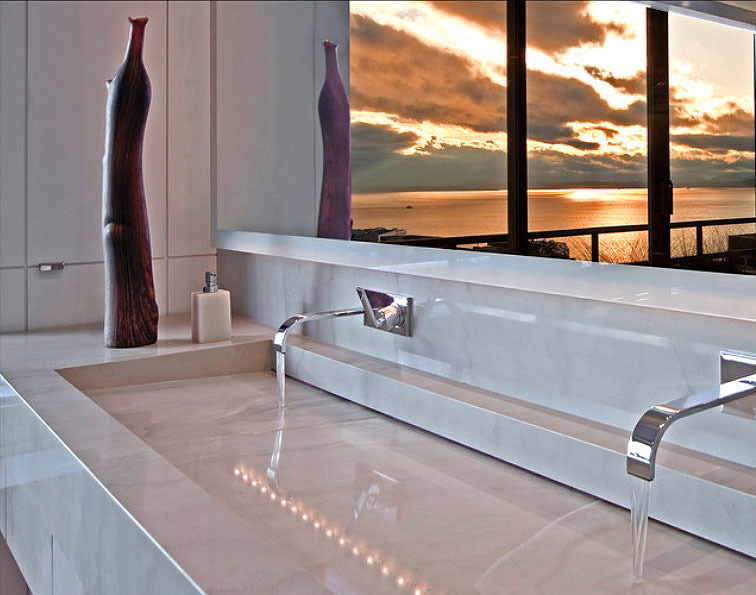 Overall, since a bathroom is often designed with quite hard surface (ceramic, mirrors, concrete, tiles, etc. ), it is interesting to use cloth material to add a bit of softness. Fashion items can easily find their way in your rendering. Whether it's a pile of clean clothes waiting for you on a stool after your morning shower, or a pile of not so clean clothes lying on the ground at the end of the day, or a half open laundry basket. As usual, depending on the kind of clothes you choose, they will give hints on what kind of people are using this space. Depending on the kind of clients you're intending to sell it to, you will have to be aware of this aspect. 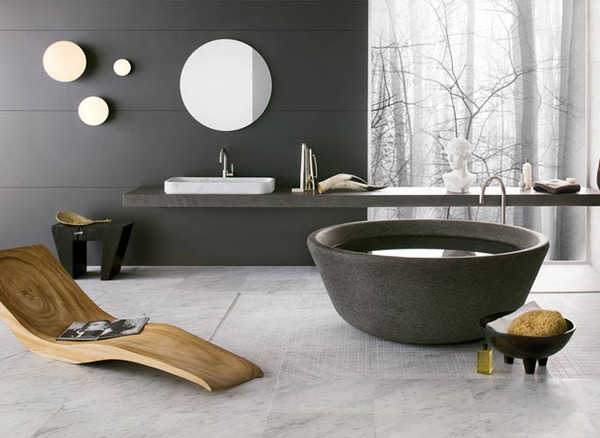 Bathroom are usually quite functional and minimalist but you can still find some room for decoration and design items to spice things up. Mirrors, photographs, sculptures, etc. As usual, just be careful not to overdo it and lose the legibility of the space. Along the same lines, always cleverly place objects in your image in order to finetune your composition and not ruin it. Plants are litteraly everywhere, so why not in the bathroom? From the simple perennial plant, to the full greenwall via deadwood echoing the forest behind the window. Foliage is always a good thing to insert in your rendering in order to add some natural material and contrast with man-made items. Just be extra careful with your materials settings. 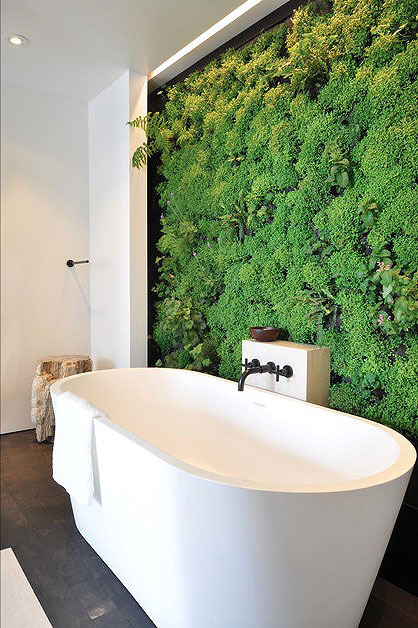 Would be a shame to end up with a plastic-looking greenwall! 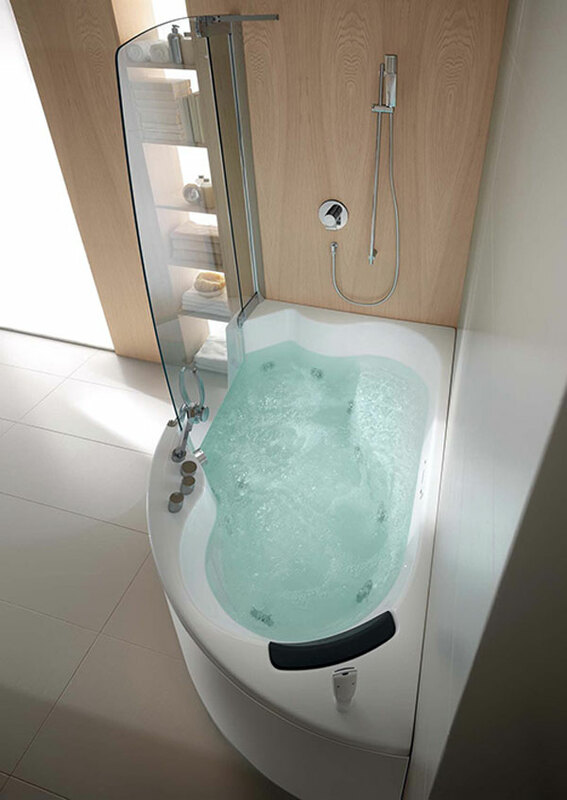 As I was suggesting in the activity section, beyond the utilitarian aspect of a bathroom lies that neverending bath you wish you could take. And with that kind of moment comes a certain kind of lighting. Candles, backlit surface, extra soft lighting fixture, fireplace (really? 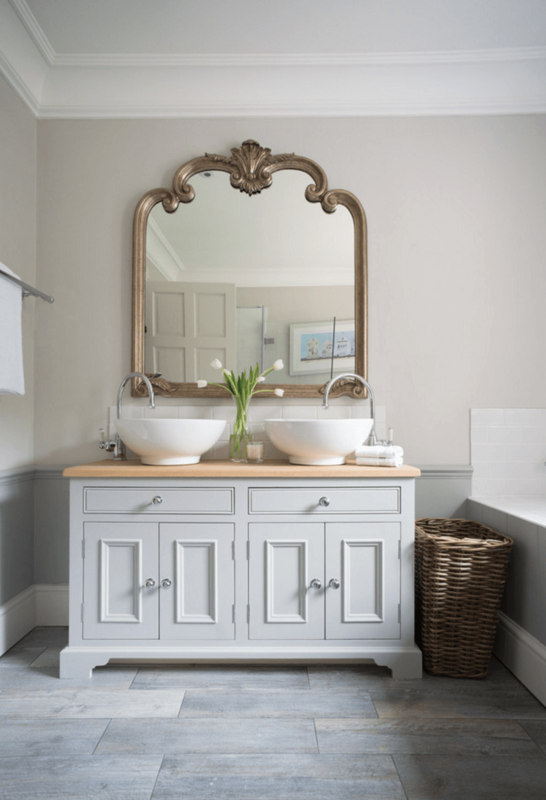 ), these are all potential ideas to give this extra bespoke touch to your space and make it more memorable than a simple bathroom. 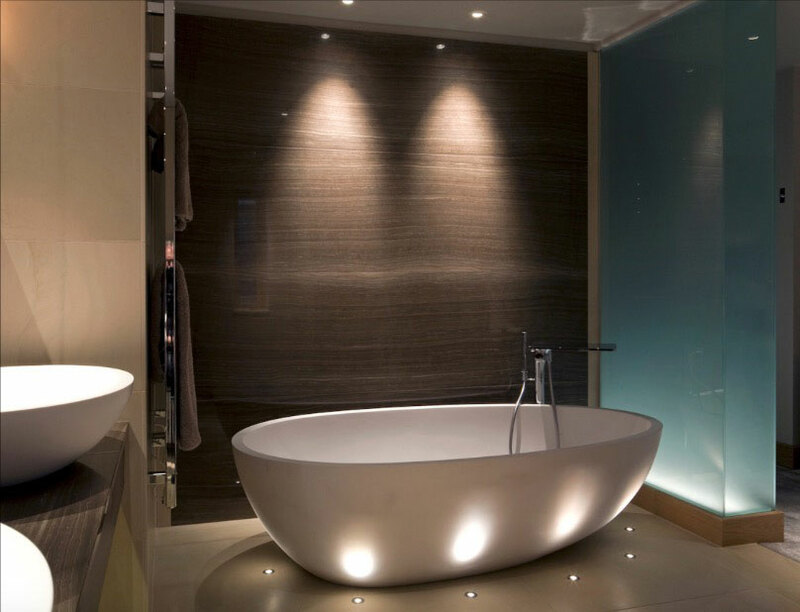 Artificial lighting will be even more important if we're dealing with a bathroom without direct sunlight. When you have natural lighting, artificial lighting will only help in finetuning composition and emphasizing some parts of the design. 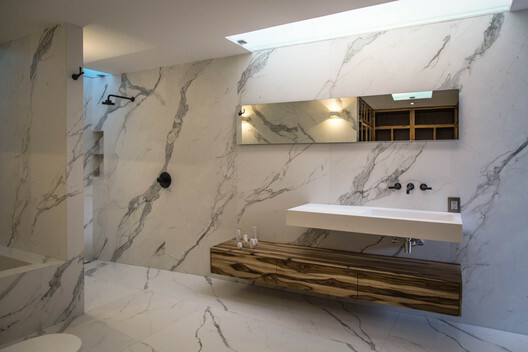 But if you're relying only on artificial lighting, you'll have to use additionnal soft boxes and the likes to make the bathroom look nicely lit. A bathroom is first and foremost a quite technical place where you expect to find your lot of pipes, wires, switch, sockets, taps, etc. So be careful to always represent them properly, even more so if there were specifically designed for the project. 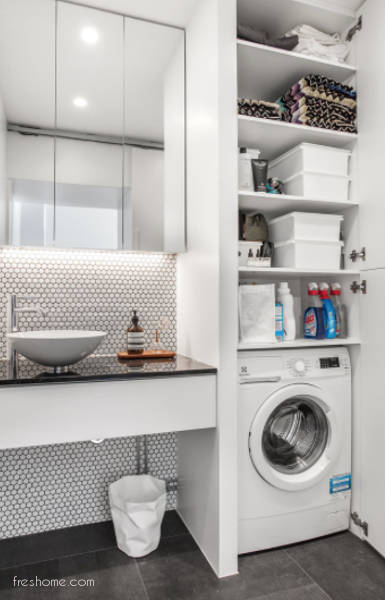 It can also be interesting to add other trivial everyday details such as bin, toilet paper, laundry-related stuff, etc. The outside is interesting. 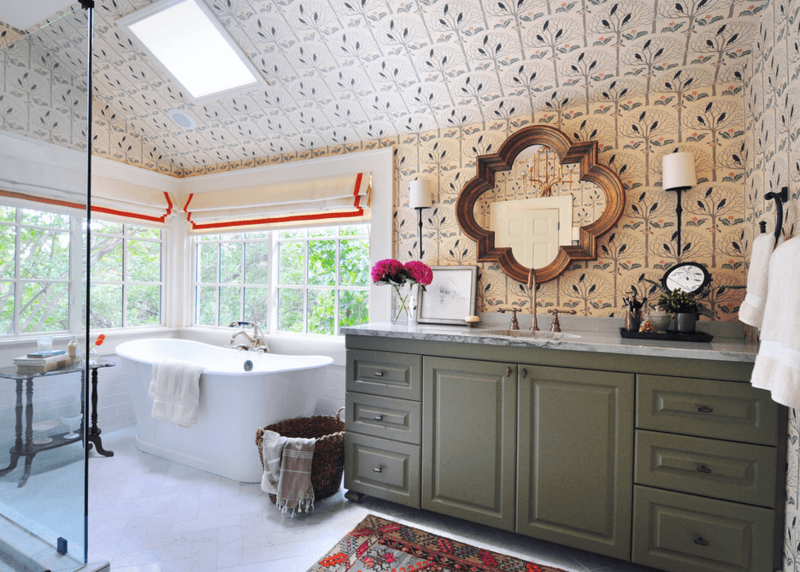 Most of the time bathroom don't even have natural lighting, which is why, when they do, it is important to show it. Whether it's a large window that opens on a nice scenery, or a glass door opening to a patio, always try to integrate that part of the design in your rendering otherwise you'll be missing one of the main selling point for a client (natural lighting + natural ventilation). Beside these two scenarios, giving glimpse of the adjacent corridor or space through an open door is still an interesting details, but don't turn your whole composition upside down for so little. And this is it for our little archviz journey in the bathroom. These 8 categories are of course non-exhaustive and I'm sure you'll find many others. The idea here, and in the rest of the series, is to show you a quite large range of the amount of hidden information you can imply by just using simple objects in your rendering. 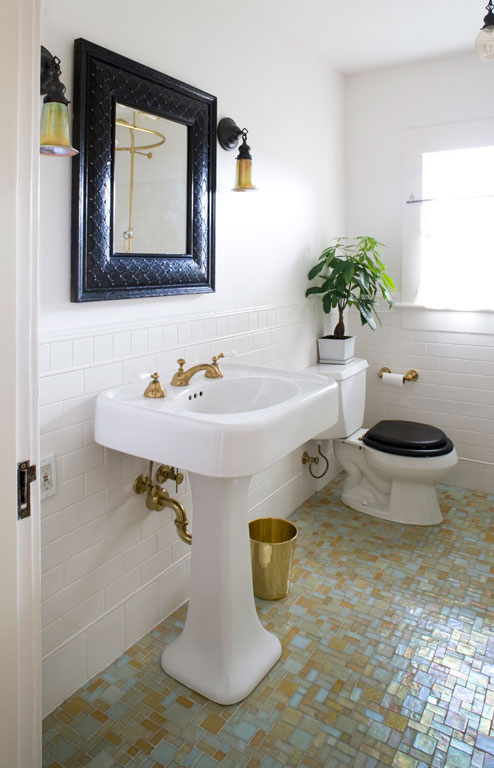 Don't hesitate to comment and share your tips and hints that you usually rely on to make your bathroom rendering memorable.